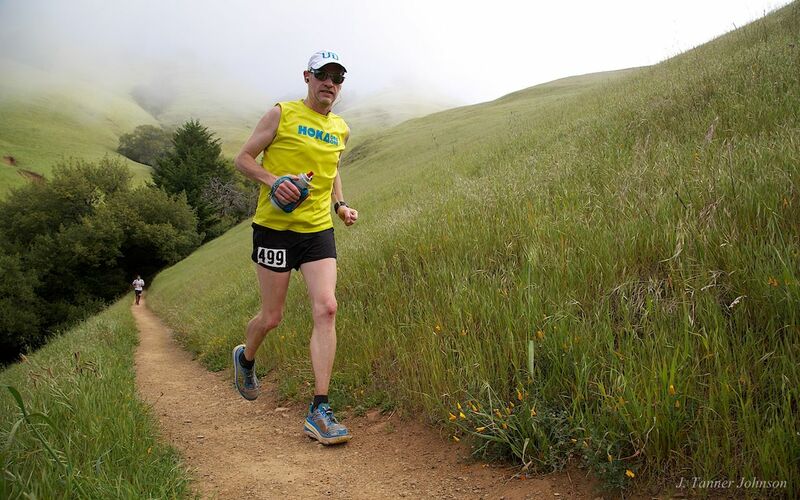 The Miwok 100K is very hilly (approximately 11,800 feet of cumulative elevation gain) with spectacular views of San Francisco and the Golden Gate Bridge, Mt. 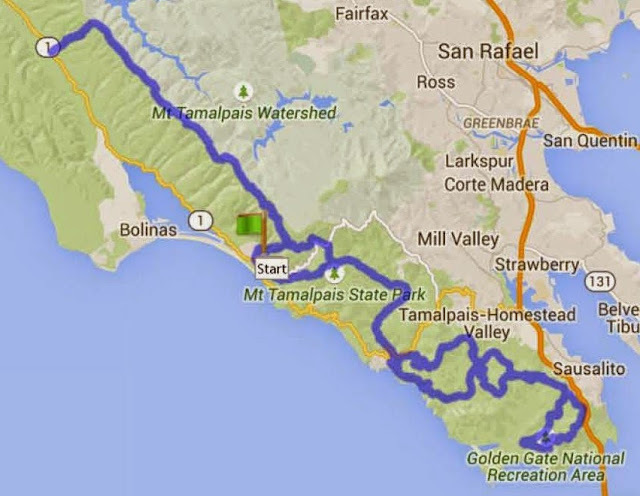 Tamalpais and the Point Reyes National Seashore. The coursefeatures fire roads and single-track trails with less than a mile of paved road.The race is very competitive at the front, and a rewarding challenge for all. There is TAILWIND drink on the course, fantastic post-racefood from M.H. Bread & Butter, a SALOMON tech-fabric race shirt and a goodie bag with useful, ultra-specific items from our sponsors. Start/Finish is at the Stinson Beach Community Centernestled against Mount Tamalpaisin the town of beautiful Stinson Beach,with its excellent cafés, a small market,lodging, and more. 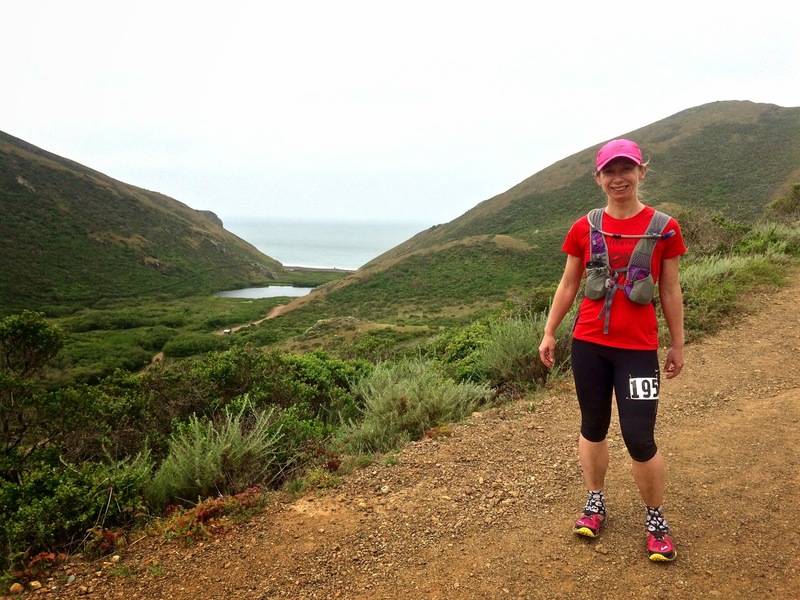 Miwok is a lot of fun to run, and volunteering is also a blast! You meet great people, help your community, and get food and some cool swag, too. It’s also a good way to learn about ultrarunning and improve your own performance by observing a lot of runners’ pacing and aid station strategies. A glorious day of running the wild flower lined single track trails awaits you, all with fantastic, spectacular views of San Francisco and the Golden Gate Bridge. The aid stations and volunteers are the best and are nestled among the rustic, gorgeous woods of Mt. Tamalpais. And sweeping views of the Bay and Pacific ocean cap off the experience! 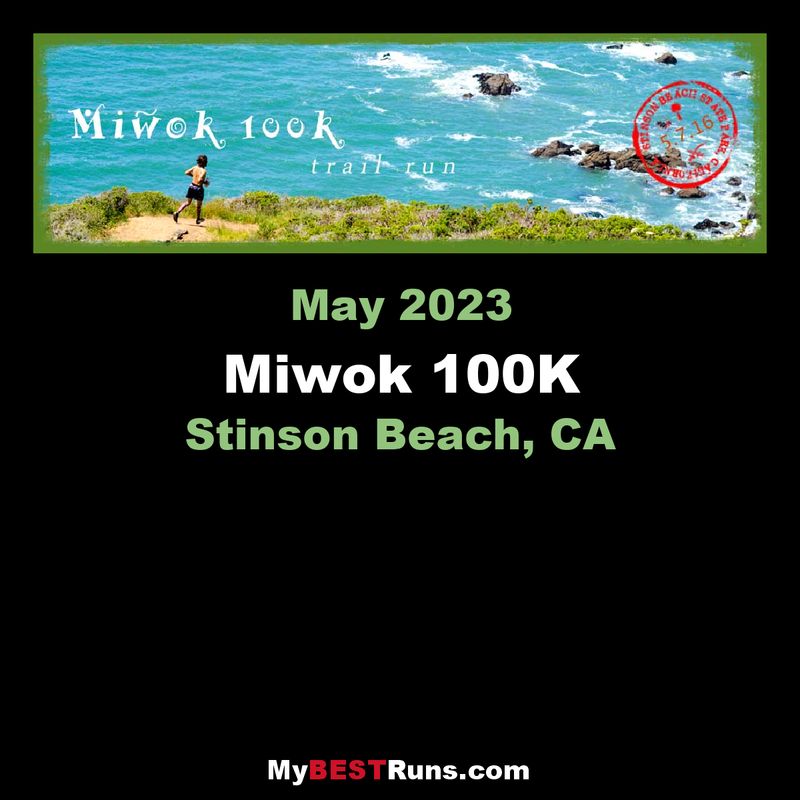 The Miwok 100K was founded in 1996 by Kellie Sheehan. That first race, held on May 6, 1996, had 69 starters and 62 finishers. Kellie directed the race for its first three years; John Medinger took over as race director from 1999, when the race had 142 starters and 125 finishers, through 2003 with 244 starters and 210 finishers. Tia Bodington took on race director responsibilities in 2004. Since then, the race has grown from 236 starters/205 finishers to 437 starters and 358 finishers in 2014. 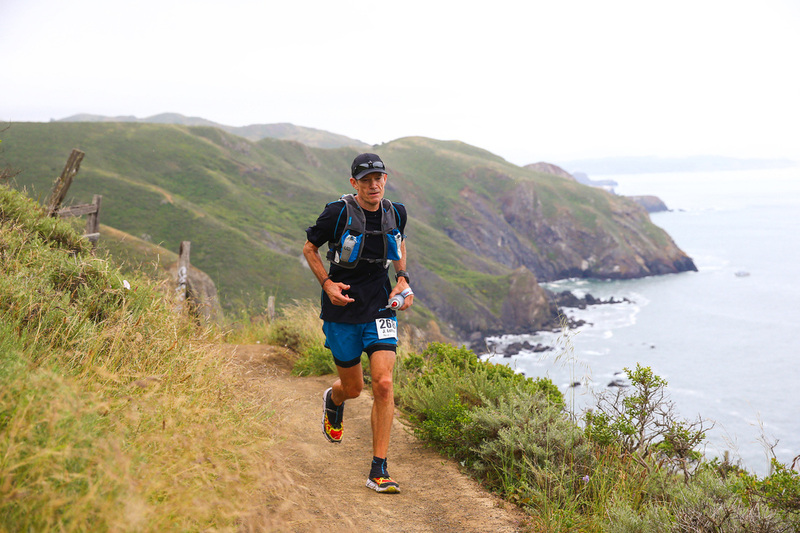 The Miwok 100K course has changed a number of times due to a variety of Park Service requirements. In 2012 the race start/finish was moved to Stinson Beach after the event was given notice that the Rodeo Beach dirt parking lot’s return to a natural wetlands was imminent.